Open Porch(es), Outbuilding(s), Outdoor Living Space, Security Gate, Sunny Area(s), Swimming. 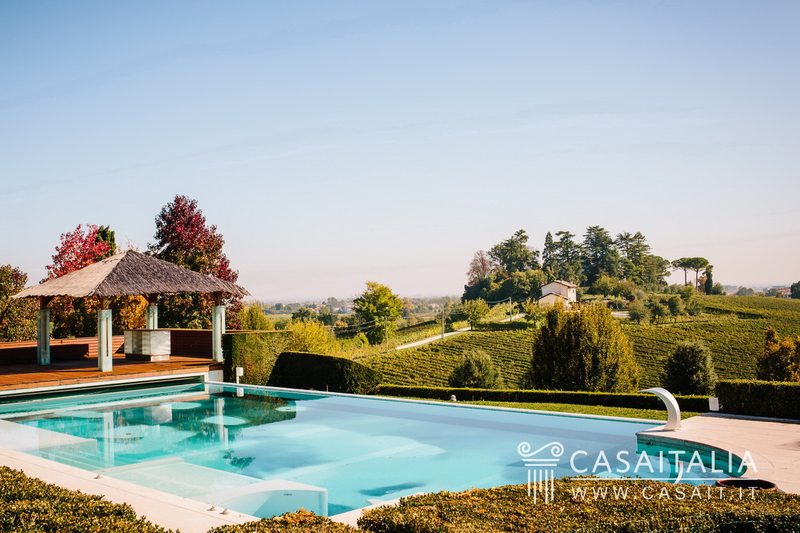 Luxury villa with outbuilding, pool and vineyard of around 1 hectare for sale in Conegliano, in the DOCG Prosecco region. 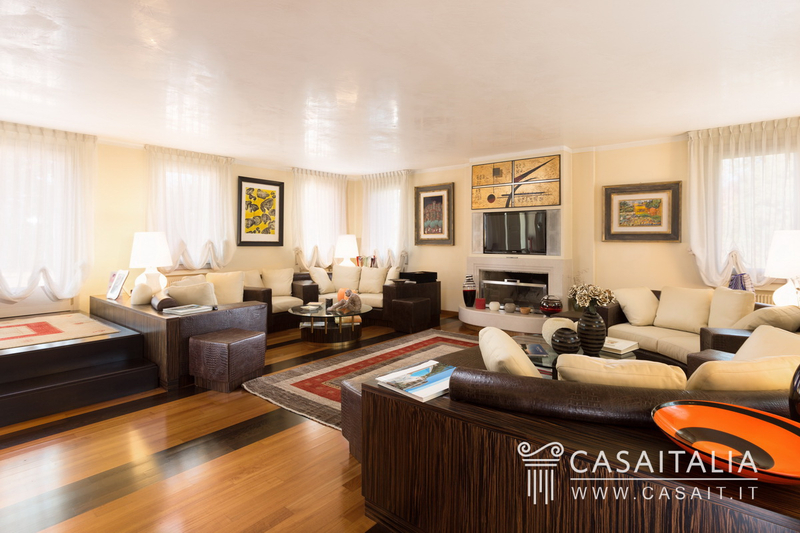 With large living space with view of the vineyards, 7 bedrooms, 9 bathrooms and a garage. Panoramic location and high quality finishings. 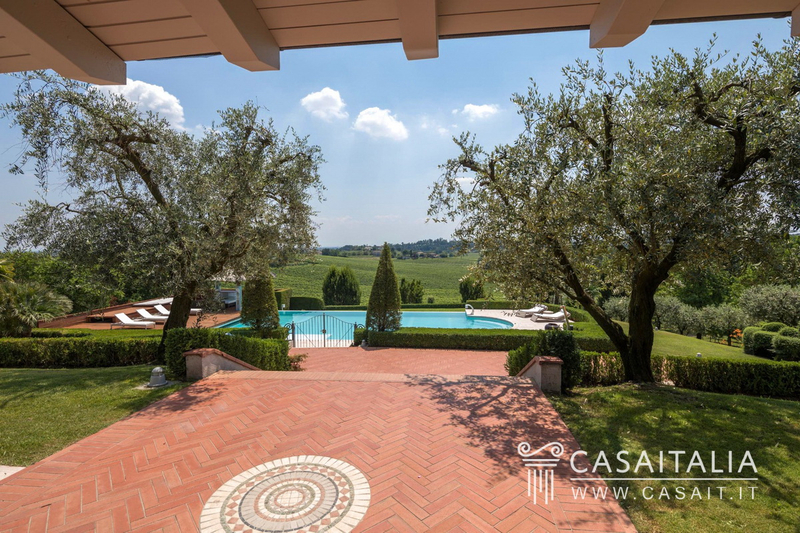 Geographic position Villa tra i vigneti is a luxury property for sale just 3 km from the centre of Conegliano, in the DOCG prosecco region, the heart of the Veneto’s prestigious wine production. Treviso (35 km) and its airport (45 km) are around 40 minutes’ drive away, while Venice (65 km) and Marco Polo airport (60 km) are just a few minutes further. 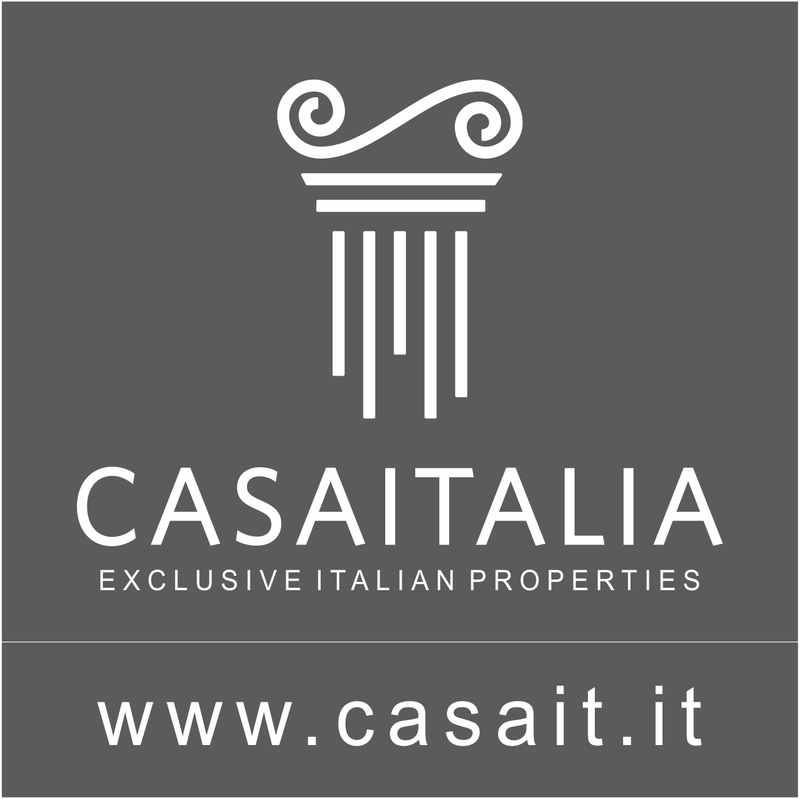 Via the A27 and A28 motorways which are very close by (just 7 km), it is easy to get to some of Northern Italy’s best ski resorts, such as Cortina d’Ampezzo just 95 km away (an hour and a half’s drive), and beach resorts, like Jesolo just 65 km away (50 minutes’ drive) and Lignano Sabbiadoro, 90 km away (an hour and 10 minutes’ drive). Description of buildings Villa tra i Vigneti has a total surface area of around 1,058 sq.m, split between the main villa and a 54 sq.m outbuilding, currently being used as the caretaker’s lodge. The villa Built in the typical rural Venetian architectural style, it has been completely restored and has two floors above ground (531 sq.m in total), and a large loft (243 sq.m in total) which can be used as living space due to its consistent height, and a basement (230 sq.m in total), with triple garage, cellars and an area ideal for wellness, spa and fitness, thanks to the current infrastructure and independent outdoor access. 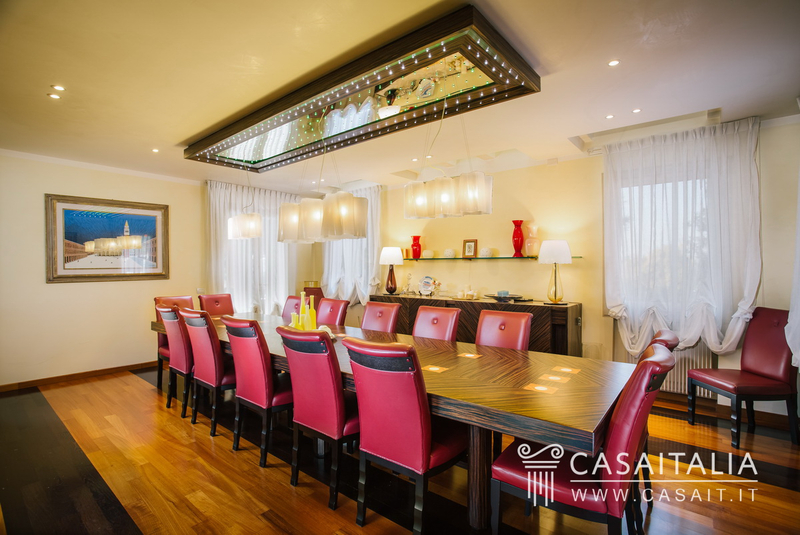 On the ground floor there is the extremely bright living space: a large living room/veranda that overlooks the pool and a south-facing terrace measuring 188 sq.m, the main kitchen and the formal dining room. 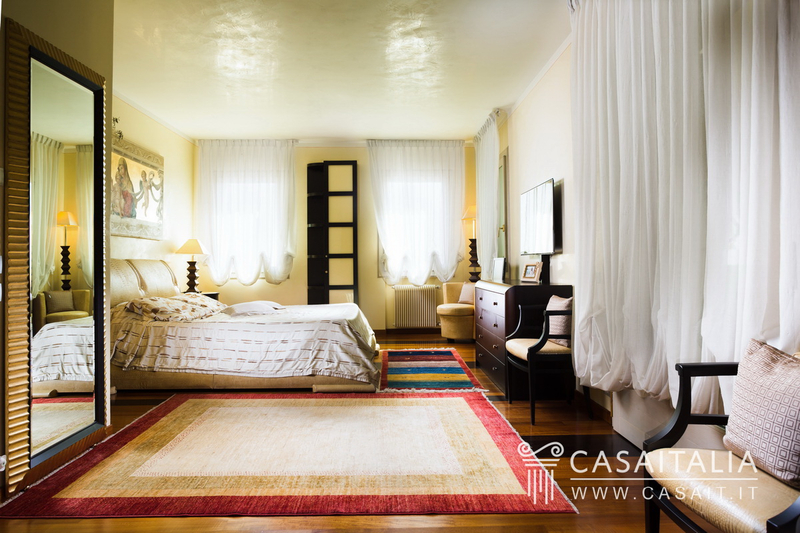 There is also a guest bathroom with walk-in wardrobe, a bedroom/studio and the pleasant entrance hall with staircase to the upper and lower floors. Finally on this floor there is a further guest bathroom, a pretty cellar/basement room and a sumptuous living room with fireplace. 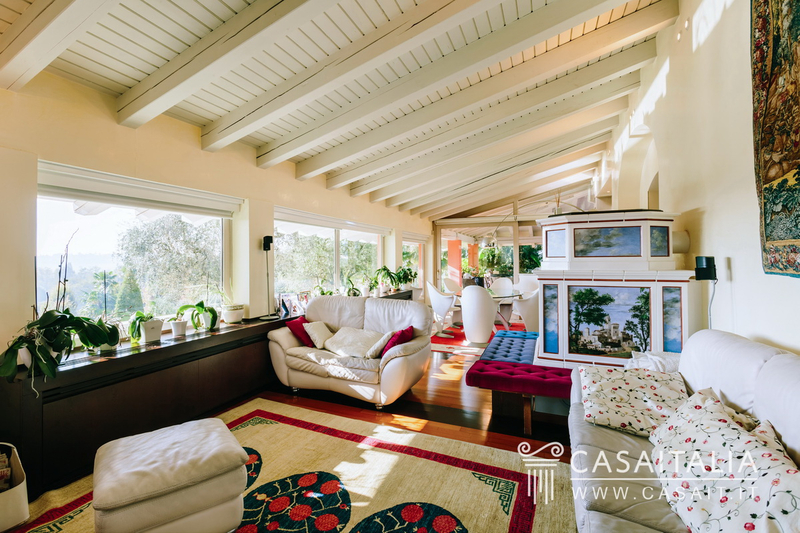 This area of the property is richly finished, with fine, solid wood parquet floors, painted walls in Venetian stucco and made-to-measure furniture in fine wood and leather. 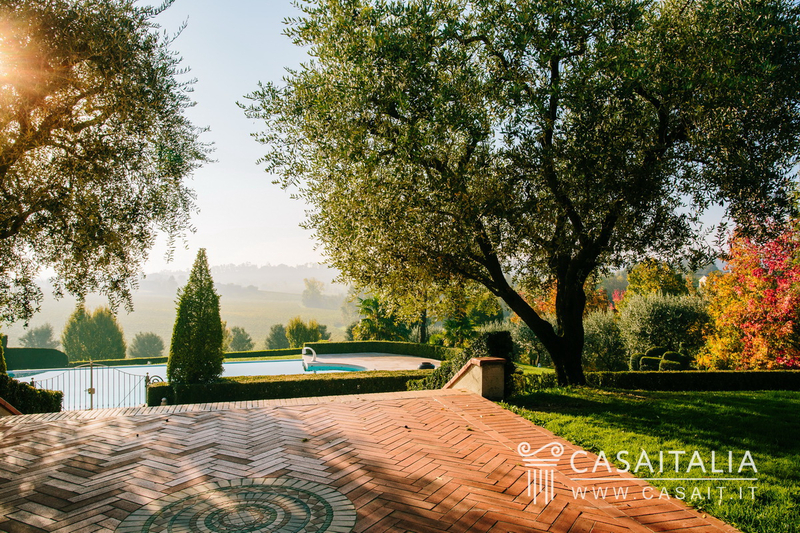 The floor benefits from two entrances: the main one and one from the kitchen, which has access to a pretty outdoor porch measuring 48 sq.m, with a view of the vineyards and the pool area. Access to the upper floors is via the main entrance: on the first floor there are four bedrooms, three with private bathrooms, and the Master Suite with bathroom complete with hydromassage bathtub, walk-in wardrobe, and a gym on the porch, which is now glazed. 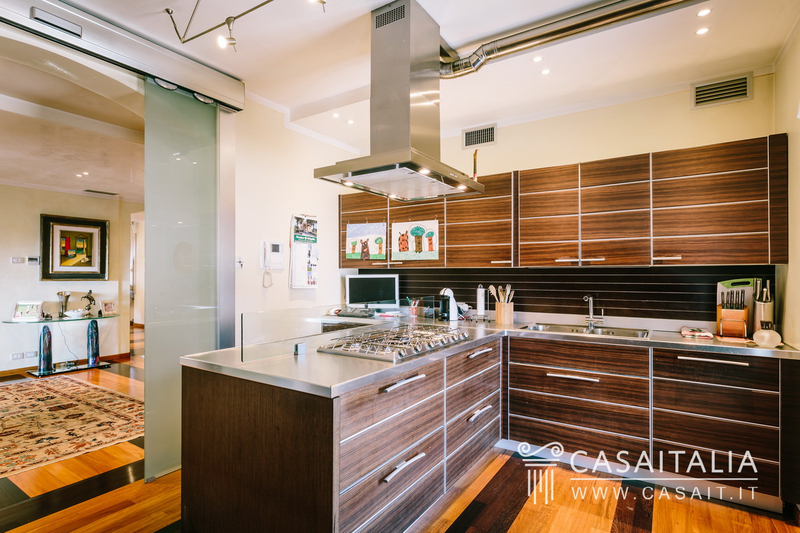 This floor also features attention to detail and materials, such as the mosaic bathrooms and the use of leather and wenge wood for the custom furniture. On the second floor, the large loft space could be used as a games room or studio thanks to its reasonable height and the fact that it has a bathroom. The outbuilding An outbuilding measuring 54 sq.m in total completes the property, not far from the main building with a separate driveway, which could be used as a guest house or caretaker’s lodge. With just one floor, this building is in a rural style and has also been restored, comprising living space, one bedroom and a bathroom. 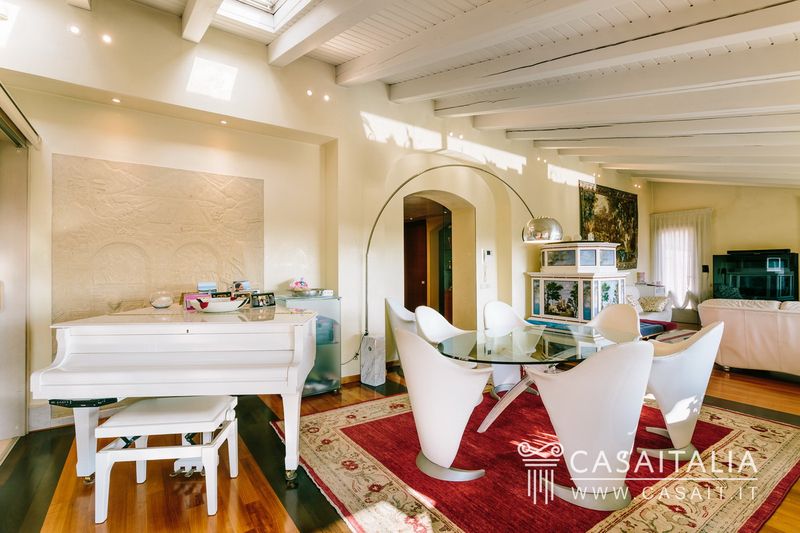 State and finishing Villa tra i Vigneti is a property with great character, due in part to its incredible location, which offers a high level of convenience and comfort. The fixtures and fittings are recent and the solar panels and 20 kw photovoltaic appliances help to keep maintenance costs under control. External areas The villa is surrounded by around 12,000 sq.m of grounds with ornamental and fruit trees, a splendid English-style garden, and an enchanting infinity pool measuring over 80 sq.m, with furnished bar and barbecue area. 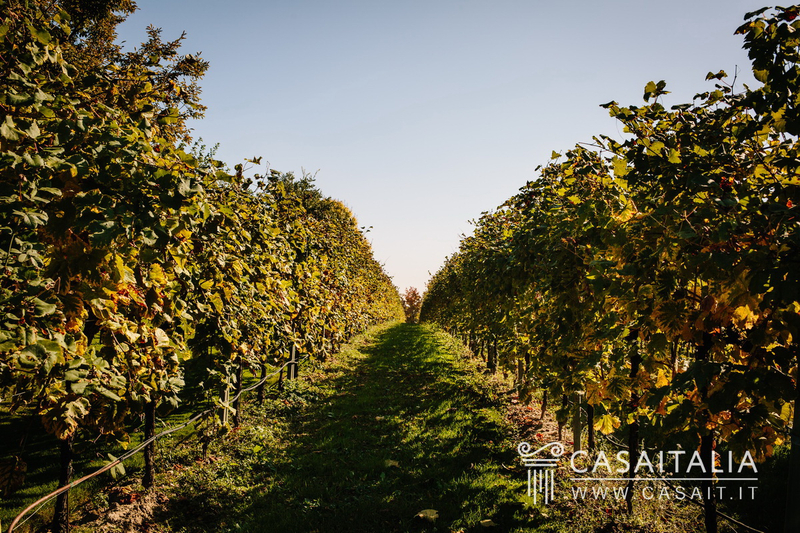 The property is completed by A DOCG vineyard of around 1 hectare, which grows grapes for the production of Prosecco, which provides an income to cover almost all of the property’s running costs. 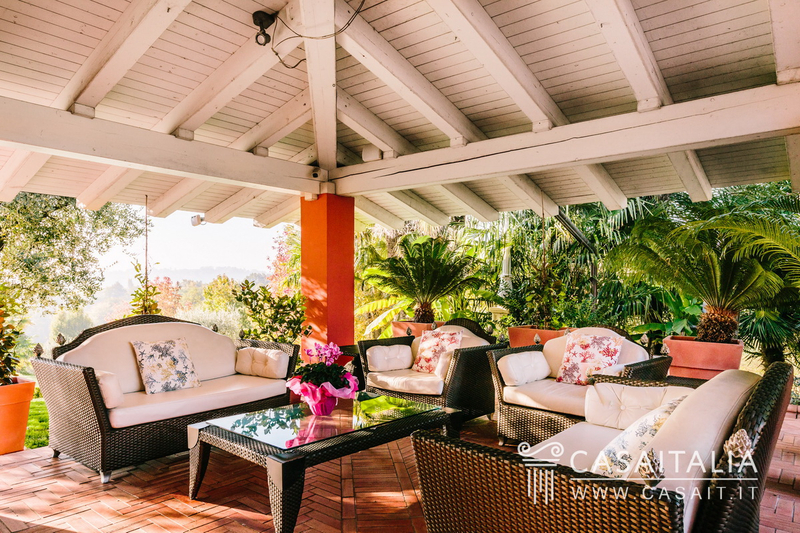 All the porches, the terrace, the garden and the pool area are equipped with outdoor furniture and provide a attractive setting for enjoyable outdoor events when the weather is good. 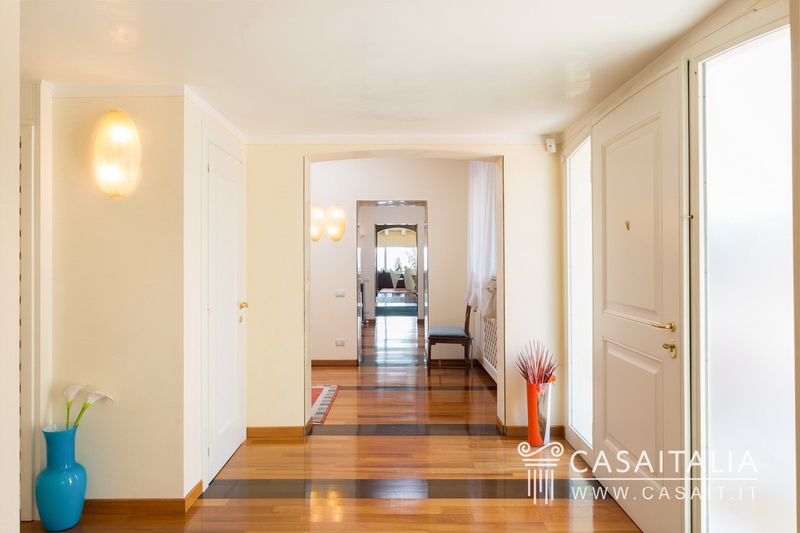 Use and potential uses The property is ideal as an impressive home for those who want maximum privacy and contact with nature, without giving up the comfort of all the amenities that nearby Conegliano has to offer.